Infosys Placement Papers PDF: Infosys has recently released freshers registration form for Off Campus Recruitment Drive across India. Candidates appearing for Infosys Off Campus or Infosys Pool Campus Drive are advised to download the Infosys Placement Papers PDF from here. Here you can check the Infosys Exam Pattern for Freshers and Syllabus, Concepts covered in the last year Infosys Drive. Let's have a look into those. Infosys Written Test for freshers (B.E/ B.Tech or Any Degree) contains 65 to 70 questions on Verbal Ability, Quantitative Aptitude, and Logical Reasoning. The number of questions for each section varies for Infosys Written Exam. 1. Verbal Ability Section comprises of 40 questions. If you try to answer all the questions, there are more chances to qualify in the Infosys written test. 2. Quantitative Aptitude section contains 10 to 15 questions. Faqs in Quantitative Aptitude: Speed and Time, Percentages, Clocks and Directions, etc. 3. Reasoning Section contains 15 questions. The time allotted for the Infosys Written Test is approximately 70 to 75 minutes. Freshers are advised to keep more focus on Verbal Ability Section to gain more marks. But keep in mind that you need to cross the cut off mark in each section. 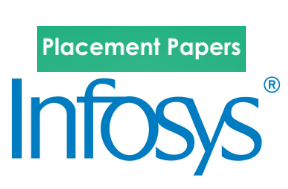 Download Infosys Placement Papers published here. All these papers are collected from various sources. Click on the below links to download the Infosys Placement Papers.